I practically lost my mind when I read that GameTap was adding adventure game Syberia to its subscription lineup. I definitely lost my eyesight, because that misplaced enthusiasm was actually meant to be reserved for adventure game Cyberia. 1994’s Cyberia follows cyber-hacker Zebulon “Zak” Pike, pardoned by Free World Alliance leader William Devlin in exchange for infiltrating a secret Russian complex to find Cyberia, an advanced piece of machinery which is either a weapon capable of crippling the universe or a new life-form capable of bringing peace to mankind. Everyone’s looking for this thing, as Zak must face off against mercenaries, cartel members, complex scientists, and the devious Devlin himself, who pulls a classic Bond villain move and retreats to his space station lair. 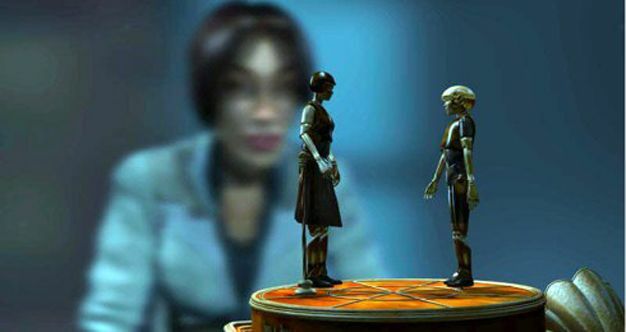 2002’s Syberia follows lawyer Kate Walker, who has been sent to finalize the takeover of a family-owned toy factory in a remote French village. When she discovers that the owner has died, she sets off to find the heir and thus embarks on a semi-surrealistic journey through Eastern Europe, eventually leading her to the titular mythical island of Syberia. If you’re still on the fence, all you need to know is that one of the central characters has mechanical appendages, having lost his hands and maybe mind in his attempt to retrieve a prehistoric doll of a caveman riding a mammoth, his one dream in life being to find, tame and ride a woolly beast of his own. Obviously, this is the better game. If you like adventure games with an interesting story, complicated characters, numerous puzzles and an absorbing gameworld, Syberia is well worth GameTap’s modest price of admission. Hit the jump for a full list of their deal-sweetening free wares. 115. Sam and Max Season One: Episode 4: Abe Lincoln Must Die!